Summer is on the way! The weather is warming up, flowers are blooming and the grass is starting to grow…. sounds like it is almost Sea-Doo summertime! 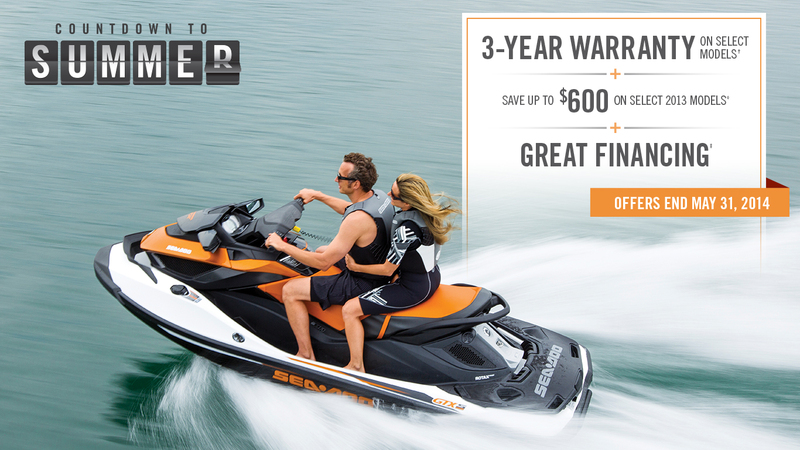 BRP Sea-Doo wants to help you get ready for summer with our “Countdown to Summer” promotions. We are running a few promotions throughout the month of May to help you get prepared for summer! Don’t miss your opportunity for a 3-year warranty and save up to $600 on select 2013 models. Sea-Doo has a full lineup of riding gear and accessories designed to customize YOUR ride! Now is the time to stock up for summer! Save $100 on your purchase of $500 or save $150 on your purchase of $750 or more of Sea-Doo riding gear and accessories. In the market for a Sea-Doo Spark? Take advantage of our special financing starting as low as $79 a month! 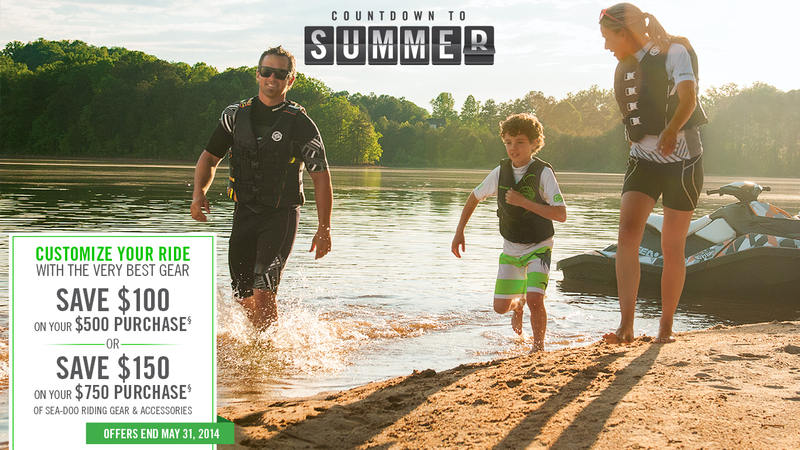 Visit your local Sea-Doo dealer to take advantage of the Countdown to Summer promotions. The promotions listed are available in the US only. 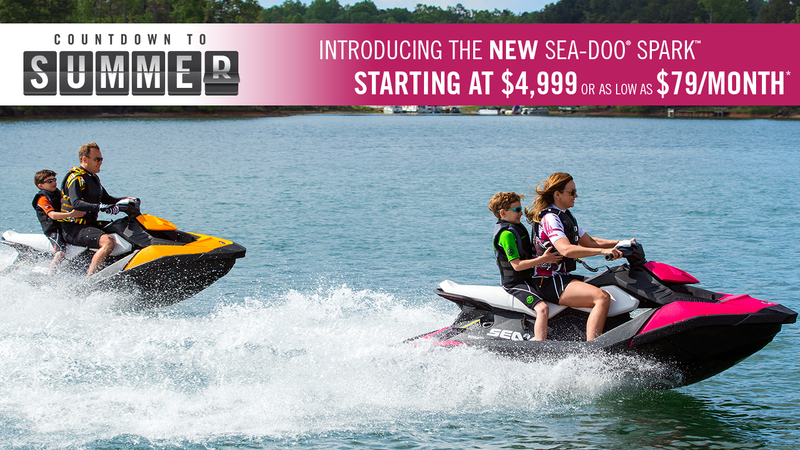 Please visit www.sea-doo.com to learn more about the promotions in your local area.